During pregnancy, a woman goes under many changes in the body. It is completely normal and sometimes common to get certain allergies while you are pregnant. But you need to notice symptoms and stop your allergies from increasing in a harmful way. When you see your allergies growing, and you feel discomfort, then visit your doctor immediately. Some women experience allergies for the first time during pregnancy, and for some women, pre-existing allergies may increase. Your immune system usually fights against bacteria, viruses, flu, and colds which cause infections and make you sick. Sometimes your immune system reacts to things which are not harmful to your health which means you are getting seasonal allergies. Seasonal allergens cause your immune system to react during that specific season. Most of the allergies are triggered by pollens which are powdery elements. These pollens produce male sperm cells to fertilize plants for reproduction. Ragweed is a plant with soft-stemmed weeds which grows in the United States. There are 17 different species of ragweed which grow in North America. This plant develops in rural space where huge sunlight available. During spring and fall months, ragweed plant produces tiny grains which contain pollen to reproduce the ragweed plants. Ragweed pollen is a common cause of seasonal allergies when you breathe in pollens. The ragweed allergy occurs when your immune system responds to its pollen. Avoid going to such places which have ragweed plants to prevent its allergy during pregnancy. While sitting in the green grass may give you fresh feel but do you know the grass also contain pollens which can trigger allergies in your and make your immune system to respond to it. The allergy may also occur when your skin has direct exposure to grass. Getting in contact with grass during pregnancy causes to increase your allergy symptoms. Cocklebur also named as clotbur, it is a weedy annual plant belongs to genus Xanthium. It grows in North America and Europe. It has 15 different species. This plant grows near rivers side, roads side, fields, meadows, and seasonally flooded places. It is a monoecious plant which produces both male and female flowers. Male flower grows unnoticeable on the tips of branches. The greenish flowers formed in pairs which grow from the upper angle of leaves, it has female reproductive organs. Eating young cocklebur seed cause death in animals and the old plant have toxins. These are not advisable for eating due to bitter taste and rough texture. This plant and its flower can also cause you allergies such as wheezing, rash, congestion, fever and constant cough. During pregnancy, this allergy can increase. Molds are fungi. It also describes as mildew. There are different types of animals or plants which reproduce and grow. There are some seeds describe as spores which travel in air one place to another and grow. Some spores spread in windy and dry weather. Another form of spores grows in dew or fog in high humidity. It also causes seasonal allergies. The decomposition of mold source spread the spores in the air and cause allergies through inhaling. The mold fungus spore grows from July to fall. 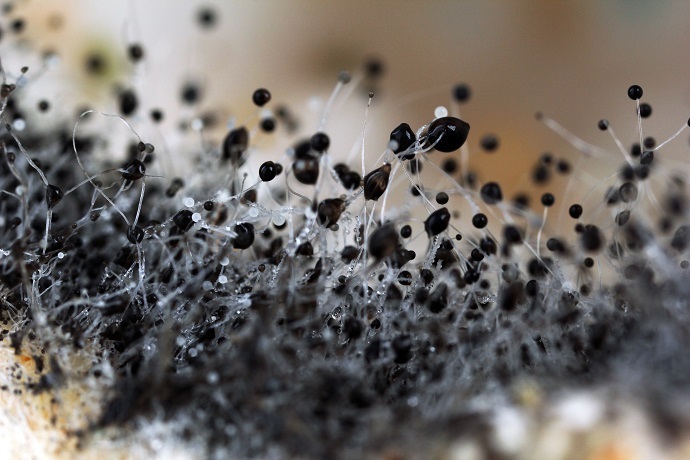 These fungi can grow indoor and outside so allergies can occur at any time. A pregnant woman should stay in care with other family members because mold fungi can grow in kitchen and bathroom which can be quick contact and cause allergies. During mold allergy, you will experience symptoms which include a runny nose, dry skin, sneezing, and itching. 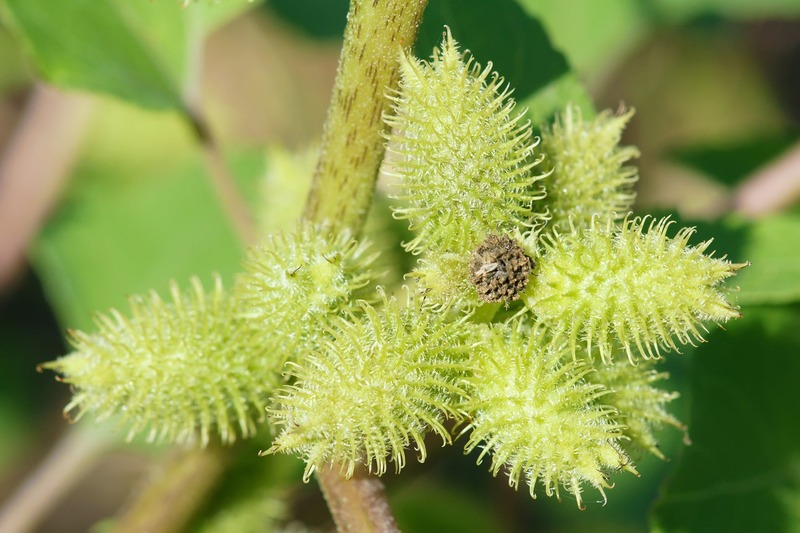 Pigweed is a plant with green leaves and flowers. It commonly grows in the backyard or abandoned fields. The peak pollen grows in late summer and early fall. The pigweed grows in a sunny and dry environment. 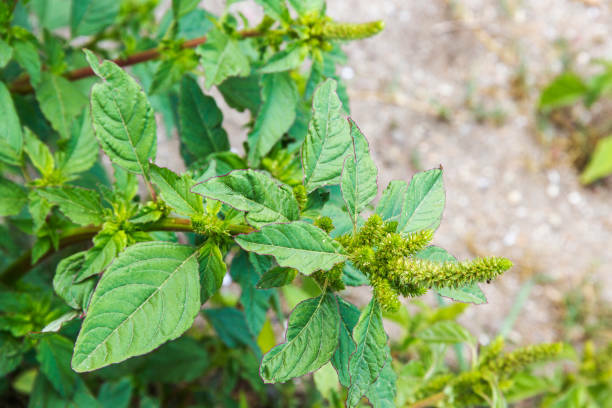 During pregnancy, if you come in contact with pigweed, it may cause you allergy which shows signs such as sneezing, watery, itchy eyes, and runny nose. 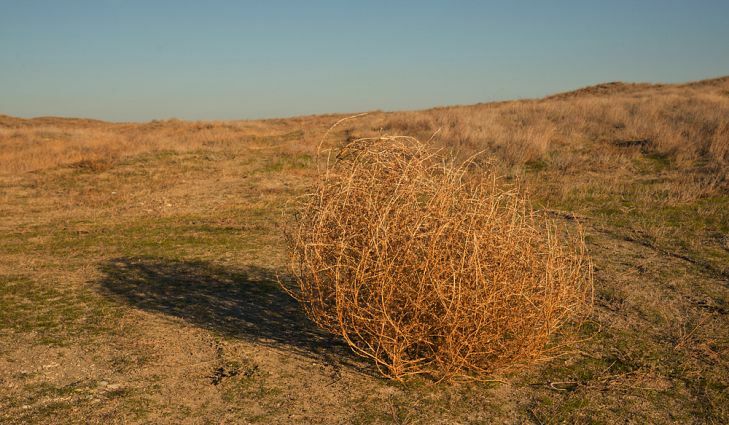 Tumbleweed is annual plant species which grows above the ground. It gets detach from roots after getting dry and mature. Tumbleweed is a moderate allergen. It produces pollen during the spring and fall season. These allergies occurrence depends on the place you live in. Is allergy affect baby and pregnancy? If you are experiencing allergy during pregnancy, then it is safe and your baby doesn’t get hurt of those allergy symptoms. When your allergies increase, do check with your doctor before taking any medication. You must avoid things such as grass, smell or pollen which cause you allergies. During pregnancy, your immune system changes as your baby grow. Getting enough nutrition is important for a healthy immune system otherwise it will induce your simple ailment and leads to chronic problems. Cough allergy is also affected by the weak immune system. You may get through a cough in normal days, but it might cause you huge discomfort while you are pregnant. Even though the cold flu or a cough doesn’t harm your baby, you need to take the necessary prevention steps for treating cough. Maintain a healthy daily diet to strengthen your immune system and prevent a cough. Make sure to eat plenty of nutritious foods, get enough sleep and exercise regularly. 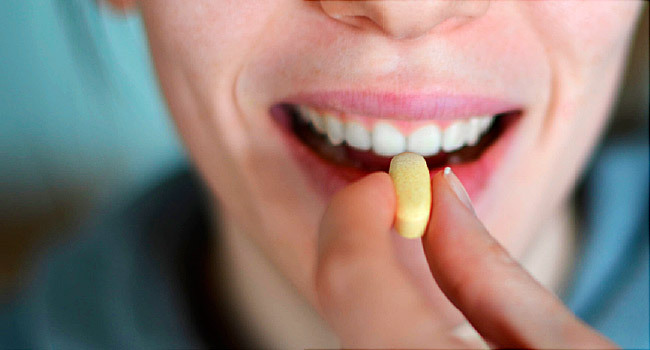 Additionally, check with your doctor for taking prenatal vitamins and probiotics. How to control a cough during pregnancy? Manage your sanitization and keep your hands clean by washing daily. Try to avoid getting contact with people around who are suffering from a cough or cold. You need to take extra care during pregnancy to stop germs and bacteria which easily affect in pregnancy. Avoid getting exhausted by taking proper rest. Short naps are necessary for your body. Eat well-balanced nutrition such as fruits, green vegetables, healthy fats, and fiber. Drink adequate water and keep your body all times hydrated. You can add juice and broth to your daily foods to increase your fluid intake. When your symptoms are severe than call the doctor. Dry cough allergies create a lot of discomforts and create a disturbance while sleeping, eating. You need doctor help when your cough doesn’t go in 3 to 4 days. The condition is severe when your cough is growing with a fever which is more than 102 degrees F.
A chronic cough will show the following signs. A pregnant woman who previously has a history of cough allergy may encounter with an increased cough which may turn in a whooping cough. It is a spreading cough followed by infection because of over and a forceful cough. It may make hard your breathing. In such conditions, the Center-or-Disease-Control-and-Prevention suggest getting Tdap vaccine during each trimester of pregnancy. Make sure to take the opinion of your doctor in early pregnancy before taking any medicine for allergies as early day are crucial conception days. Sneezing is one of the allergies which occur during pregnancy. Some things which are harmless but causes anxiety such as sneezing. Sneezing is not harmful, and it won’t cause miscarriage in early pregnancy. In some case, women sneeze more in pregnancy than normal days which describe as pregnancy rhinitis. It is a nasal congestion which starts at some part of pregnancy and gets over in two weeks of birth time. It may have symptoms such as stuffiness, runny nose, sneezing. The cause of frequent sneezing is not known, but it may have a link with hormonal changes. Sneezing may occur due to flu or cold. During pregnancy, your immune system is a week and more prone to respond quickly to harmful bacteria which causes illness and diseases. You need to be careful to prevent harmful contagious virus and infections. Getting common cold doesn’t affect your baby, but flue can be harmful. If you get the fever or flue, then immediately visit your doctor. Your body is safe enough to provide safety to your baby when you are sick. 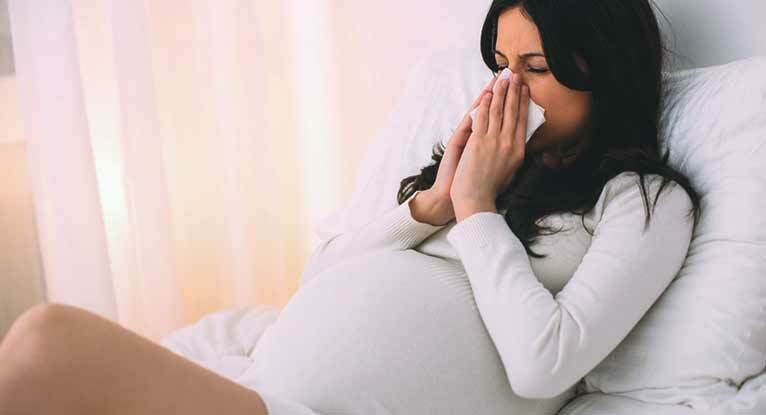 Sneezing during pregnancy doesn’t cause any risk and cannot harm your baby. However, frequent sneezing can be a symptom of asthma or flu. Flu can be a risky thing which your baby also gets. In some cases, a pregnant woman may feel the intense radiating pain nearby the belly while sneezing which can be discomforting, but it is not a serious problem. The baby will be inside the uterus ligaments which are connected to the abdomen sides. Whenever you sneeze, the pressure happens on uterus ligament which causes stabbing pain. How to manage to sneeze during pregnancy? Anything you eat will be passed to your baby also during pregnancy. You need to be extra careful when you consume something whether it may be food or medication. You can take medications such as antihistamines, pain relievers and allergy medications under your doctor’s guidance. Consider trying the following things to manage to sneeze during pregnancy. Keep humidifier during the night to prevent dry air which can irritate your nasal passages. If your sneeze causes you to control urine leakage, then consider using the pad to avoid wetness and embarrassment. Try using pregnancy belt to prevent abdominal pain caused by sneezing. Eat vitamin C foods such as lemon, orange to boost your immune system naturally. If your doctor recommends taking flu shots, then take shots to prevent seasonal flu. If you have asthma problems, then take good care to follow the doctor’s directions during pregnancy. Clear your sinuses with help of the neti pot and saline liquid and purified water. Have an air purifier to avoid allergic dust, mold, and pollens. Flush your sinuses by saline nasal spray. If you have pet dander or seasonal allergies, then consider bathing and change clothes after coming home. Skin itching is normal during pregnancy. It commonly occurs during the quarter of pregnancy. During pregnancy, you feel itchier because your skin gets stretched around your belly and waist. You may also get fat due to hormonal changes that also cause you itchy skin. The changing hormones play an important role in creating itchiness in your skin. Itching can occur due to common skin problem such as eczema. It is not easily noticeable in first pregnancy or eczema may happen after childhood. If you have eczema from childhood, then it may become worse during pregnancy. Pre-existing eczema occurs on your neck, face, and chest. You may also notice the fold in your knees and elbows skin. You will also encounter with another itching condition such as vaginal thrush because of changes in estrogen hormone levels. The thrush condition can be treated with medicine, and you need to maintain proper hygiene otherwise it will go and come back again. How to treat itchiness during pregnancy? Take your doctor’s advice first than avoid cleaning products which provide harsh lathering agents such as fragrances, perfumes, and detergents. These products cause to irritate your skin and increase the itchiness. Use mild and moisturizing body washing soaps. After every time you wash your body don’t forget to moisturize your skin with natural lotions advised by your doctor. Wear cotton gloves to prevent scratching during sleep time and protect your skin. You can buy moisturizers which contain oats and oat milk which is an excellent anti-itching element. You can also try making your own remedy by adding a handful of oatmeal in hot water and mix it in warm bath water after sometime. Stay cool because heat also induces another kind of rashes accompanied with itchiness. Wear comfortable and loose clothing during hot weather. Avoid sitting in overheated places. Don’t walk on sunny days because heat is not a good thing for your baby. Pat to dry by soft towel instead of rubbing your skin after washing or taking shower. Learn method which can help you to distract from scratching your skin such as counting 10, pressing nails, and using palm and holding your fists. In many cases, the itchy skin will not harm your baby, but when you have severe itchiness, then it could be a sign of the liver ailment such as ICP -intrahepatic cholestasis of pregnancy, it is also described as obstetric cholestasis. The symptoms of ICP appear in the large areas of skin. The itching condition often attacks hands, palm and your feet soles which becomes worse in the night. Check with midwife or doctor if your itching symptoms become severe, they will recommend a blood test for ICP. The itching allergy can be discomforting which makes your sleep time hard. You may get some cream or medicine which will ease the itching problem. 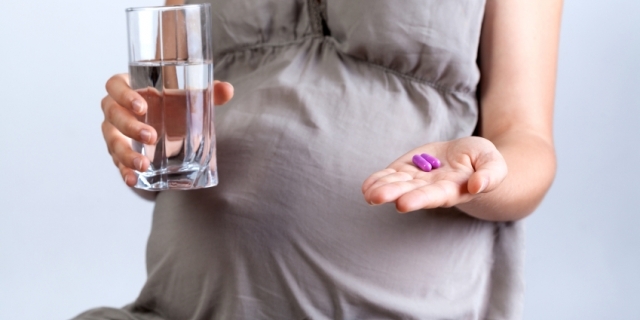 During pregnancy, you may worry about whether taking medicine is safe or not. Discuss with your doctor about your previous allergies problems. If you regularly consume any medication for allergies, then stop it until you take advice from your doctor. Let’s find out which common medicine you can take. It can be safe for some women and also may not be safe. It depends on your health and pregnancy conditions. Your doctor may advise taking loratadine – plain Claritin which is safe, but still, you need to confirm if you can take it in the first trimester or not. Some health expert suggests taking chlorpheniramine and triprolidine in a limited amount. You may also get advice for decongestants which contain phenylephrine or pseudoephedrine such as Claritin-D, Sudafed, and DayQuil in a limited quantity, particularly in initial pregnancy. The frequent decongestants use may limit the blood flow the placenta, so it is important to take your doctor’s help. For a blocked nose, you may get nasal sprays which have steroids. It can be safe during general conditions, but you need to check with your doctor about dosing and brands. You can also take nonsteroidal nasal sprays which have oxymetazoline such as Afrin only if your doctor advises. Apart from taking medicine to prevent allergies, you can practice self-preventions methods. Here are the tips to prevent the allergies while you are pregnant. Try to stay away from smokers as smoke can increase the allergies. Indirect smoking affects pregnancy. When you are allergic to pollen, stay away from dry air and dust. Try to use air condition environment. While going out wear wraparound sunglasses to protect your eyes from pollen. After coming home, wash your face, hands and change your clothes. If you have a dust allergy, then avoid cleaning your home in everyday life. If you don’t have anybody to help, then try using a vacuum cleaner with filter and wet mop for sweeping the dust. Also stay away from musty places such as basements, attics. If you have a pet allergy, then try to keep a room free from the pet. Also, inform your friends who own a dog or cat so they can arrange things whenever you visit them.